This is really crazy. 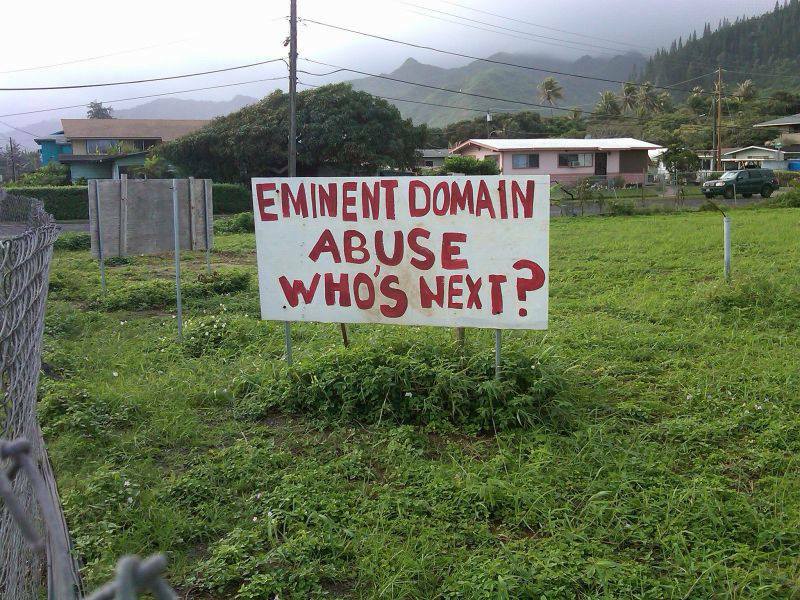 I've been writing about how the City has been using Bill 54 (ordinance 11-029) to seize hundreds of signs from deOccupy Honolulu and I know sometimes the reaction is "yeah sure sure whatever" because deOccupy Honolulu is often painted as a fringe group. But this video made by Choon James shows how City crews swooped into Hauula and tore down protest signs James had on her own private property. And they used Bill 54 to do it. Which is completely illegal because Bill 54 is about storing property on public property. Well, that doesn't seem to matter to the civil authorities at Thomas Square for deOccupy Honolulu, and it doesn't matter in Hauula either, I guess. Well, does she actually own the property the signs were on? I have heard that this sort of sign-disappearing happens during election campaign season. Anonymous hoodlums tear down the signs of their political opponents in the middle of the night. But this was done by the City under Bill 54. We know that because the City left Bill 54 tags, and the City has the (damaged) signs and hasn't returned them! Hey, this is theft and suppression of free speech! This is crazy! Or is it just me? The City is under a Federal Court order regarding the seizure and return of items from the deOccupy Honolulu encampment at Thomas Square, but those provisions do not extend anywhere else on the island. I don't think one should have to go to court to require the City to follow its own laws and the national and state Constitutions. But I guess Choon James will have to. Will keep you updated so stay tuned. Can they not read their own laws? Was a police report filed? I wonder if the HPD would charge city workers with theft. 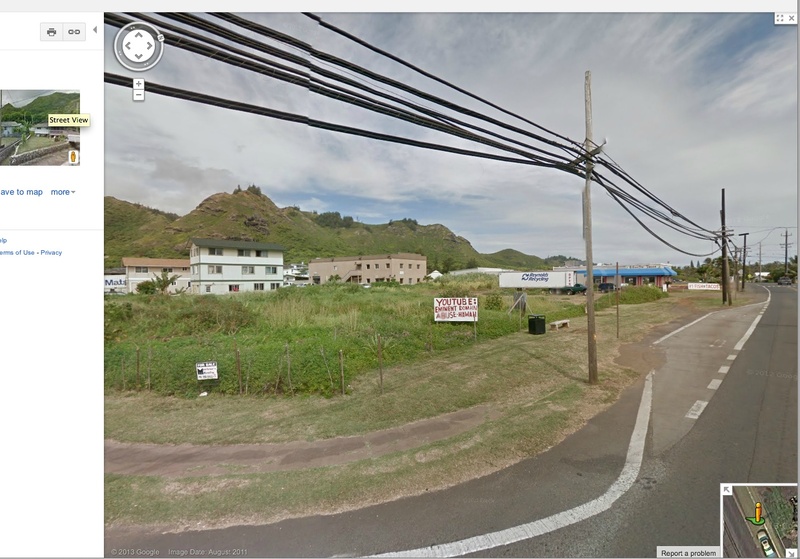 I went to the Kahuku Police Station on May 31, 2013 at approx 8:00 pm. The officer on duty provided me the necessary forms for the eye-witnesses to fill out. Our yardman later told us who the "thieves" were. Two "Storage & Disposal Notices" were taped around a pole inside the private property. 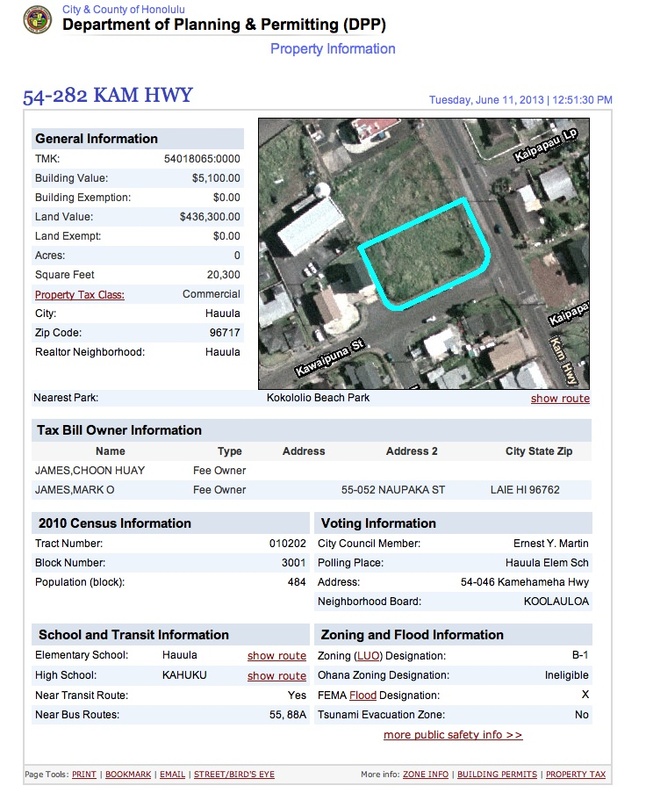 And it was the City County of Honolulu using the Bill 54 tags (11-029 ROH). 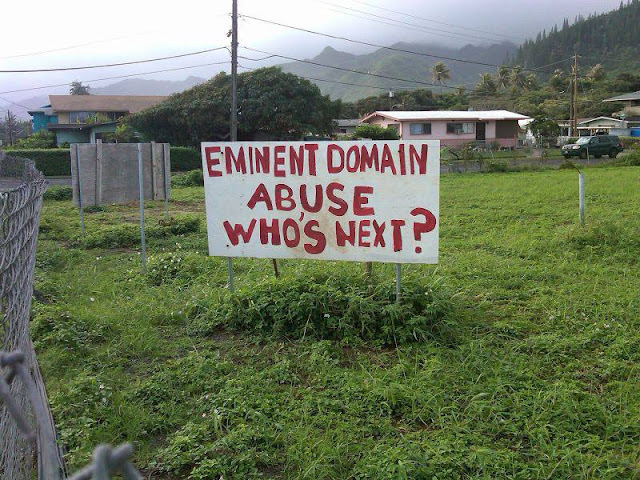 What a waste of taxpayers' resources to come from all the way from Halawa to Hau'ula to bully, impound and destroy private property! Welcome to Communist China. We are not only indebted to them; we're emulating their rouge human rights. It's also a waste of taxpayer money if the city does something illegal and gets sued for damages plus attorney's fees. Plus a lot of trouble for the citizen who has been wronged. Police accompany the raiders at Thomas Square and refuse to take theft complaints. Complaints made at the police station disappear the next day. I once made a sign that read, "Who do you call when the police are stealing your stuff?" The sign was seized by the City and was never returned. And then the crowning touch...after all the planters, fuss and bother (and money! ), the tents are back on Beretania, albeit stuffed on the corners. Don't know the details but for Choon James to compare this with Communist China indicates she has never owned property in China which the government wants. Not saying what the city did was right but using hyperbole hurts one's credibility.